After buying a new mobile phone I want to customize it, for example, set to your favorite music on call. To change the ringtone for a call in several ways. Phone must be individual themes, Wallpaper, apps, books, etc. Also an important part of personal device settings is considered and the installation of individual music for calls, alarms, SMS messages etc. 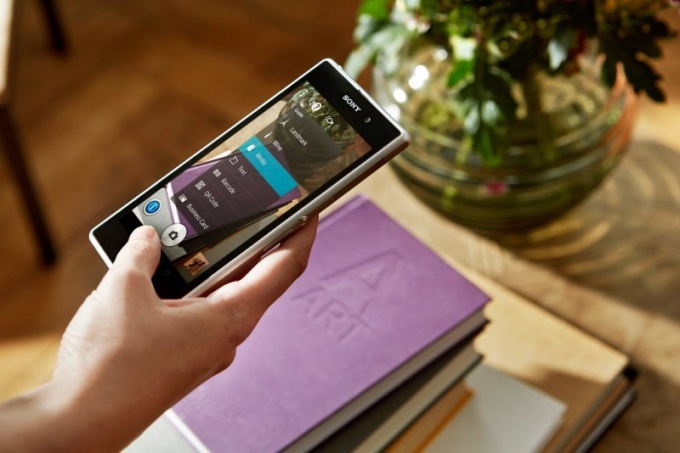 There are several ways how to put music on call in Sony Xperia smartphones. Set your ringtones from the Walkman player, which is available on all mobile phones brand Sony. To change the ringtone you need to go to player, then select My music. Then, you can go to the folder where is located the desired ringtone, then select it and hold down your finger for a few seconds until a menu appears. In the list that appears, select the "As a ringtone" and all the selected music set the call. To change the ringtone can also with the help of free applications. For example, the Astro File Manager is able to set ringtone for call and for SMS. To do this, go to app, select on the memory card need mp3 ringtone, hold for a few seconds with your finger on the shortcut menu, select Music options – Set as rington. Also you can put music on the individual contact record, but it will be a little difficult. So, first you need to connect your Sony Xperia smartphone to the computer using USB cable. You then need to open the root directory and create a special folder Media. If the folder already exists, then you need to go into it and create a new folder Audio. And in it you can create 4 folders: alarms (alarm sound), ui (interface sounds), notifications (ringtone for SMS, MMS, email), and ringtones (ringtones). That is, if you want to set a ringtone for a call, the selected ringtones you need to copy the path is ".../media/audio/ringtones/". Next you need to go to Contacts, choose a specific person in the list and then press "Menu – Settings – Melody". Then you can set any song that was pre-copied to the folder ringtones. Similarly, there are other melodies for alarm clock, SMS, etc. If you want to place a call, for example, all inbound, then you need to go to phone settings and choose "Sound – Ringtone. After this you will see all the available ringtones from the ringtones folder.